Stadium : County Ground, Derby. This is neutral pitch and will supports to both batsman & bowlers. ODI stats for this stadium are as follows. Both Sam Curran and Craig Overtone will not play as they had joined ENG team. One of the M Fisher or T Helm might miss out the match. Playing chances of T Helm is high. T Kohler Cadmore and Nick Gubbins will open the inning and Sam Hain is expected to come one down. Key players: Ben Foakes, L Dawson, S Mullaney, M Parkinson, Liam Dawson, Chris Jordan and Reece Topley. Shubman Gil is expected to bat at 1 down followed by Shreyash Iyyer and Rishabh Pant. Either of Vijay Shankar or Deepak Hooda will play. Playing chances of V Shankar is high. One of Prasidh Krishna and Khaleel Ahmad will play, however chances of Prasidh Krishna will be little higher. 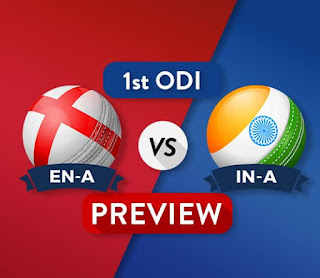 Prithwi Shaw will open inning along with Mayank Agrawal. Key players : Axar Patel, Krunal Pandya, Shadrul Thakur and Deepak Chahar. 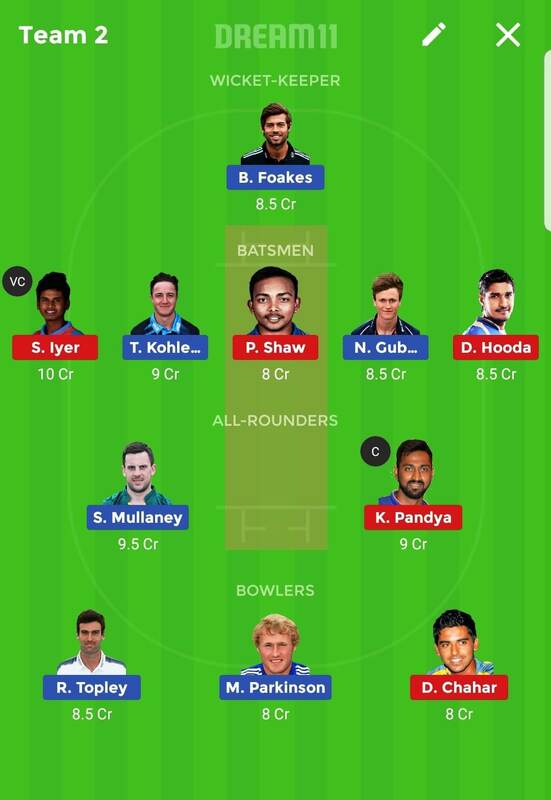 In WK both Ben Foakes and Rishabh Pant are good you can prefer any one while Foakes is cool minded player. Use Premium Team Generator for FREE Grand League Teams. News sources : Cricbuzz and Google Alerts. If any change then you will be notified later. These teams are most suitable for small leagues. But you can try them in grand leagues as well. Its up to you. 1)Playing 11’s can change at the last moment, so nobody will ever know who’s in playing 11. 2) Always Create up to 6 teams with playing 11 from both teams. 3) If you are going to use above teams always make Captain and Vice Captain according to information provided here and your gut feelings. 4) Anything can happen in the real game!!! 5) To win more, join small leagues, competition is less in small leagues. 6) To win in Big/Grand leagues make Captain & Vice Captain, odd players which others can not even think of making their captain & vice-captain. 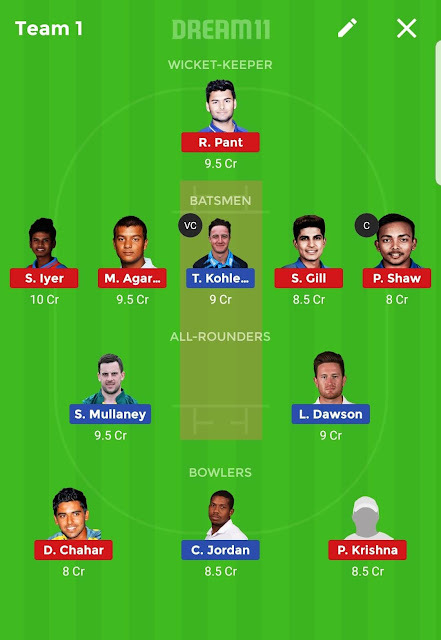 7) You can make 6 teams as 2 teams with batsman captain & vice-captains, 2 teams with all rounders captain and vice-captain and 2 teams with bowlers as captain & vice-captains. Or you can try the combinations of above. This is a free service/ advise/ opinion/ suggestions. It's up to you to verify and use. These are personal views of the developer, so verify before using this information. if you make profit or loss its own your own. The developer does not take any responsibility for that. This app, in any way, is not affiliated/managed/operated by Dream 11.